"Expocentre" is a world-famous Russian exhibition company, which has always maintained its status as the leading organizer of the largest international trade exhibitions in Russia, CIS and Eastern Europe, as well as national expositions of our country at EXPO exhibitions. 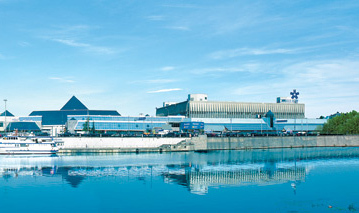 Every year, the Central exhibition complex Expocentre hosts more than 100 international exhibitions attended by over two million specialists and hosts more than 800 congresses, symposia and conferences. The company is actively developing: new exhibitions are opened, advanced technologies are introduced, the range of services is expanded, the infrastructure of the complex is improved.